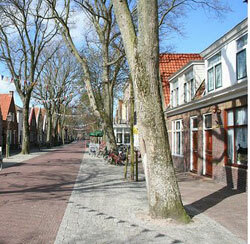 Oost/Watergraafsmeer has almost 60,000 inhabitants, of which a third are foreigners and immigrants. It also has about 30,000 residences, mostly average in size and selling price. About a quarter are owner-occupied. For purposes of better management, the local council has divided Oost/Watergraafsmeer into 15 smaller sectors. Neighbourhood groups work with the police and the local government to regulate renovation projects and keep the peace and order. Community development and improvement projects include a new playground and a football field. Public transport is reliable and is the best way to get around the district and to get to the city centre. Frankendael Park, Oosterpark and the New Ostermeer cemetery provide peaceful green areas to visit.